The most important way for you to contribute and help us in our monastic efforts is to include us in your prayers. Additionally, we can always use volunteers with talents and time to spend with us: handymen, plumbers, carpenters, etc. 1.) You can help us monetarily by purchasing our candles or items in our bookstore. 2.) 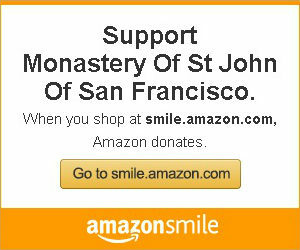 Donate to the Monastery via PayPal. One can either send a one-time gift or set up a recurring donation amount upon following the link. Donations are processed securely by PayPal. You’ll be given the option to use a credit card if you do not have a PayPal account.